After taking over as Finance Minister in August 2012, Chidambaram had drawn up a financial consolidation roadmap to lower the fiscal deficit to 4.8 per cent of GDP in 2013-14, 4.2 per cent in 2014-15 and 3.6 per cent in 2015-16. The government has said the fiscal deficit for the current financial year will be contained at 4.6 per cent of gross domestic product (GDP). The fiscal deficit, which is the gap between expenditure and revenue, was 4.9 per cent of GDP in the previous financial year. "Let me begin with the good news. Fiscal deficit for 2013-14 will be contained at 4.6 per cent of GDP, well below the red line that I had drawn last year," Finance Minister P Chidambaram said in the interim budget presented in Parliament. He said the government's objectives included fiscal consolidation, reviving the growth cycle and enhancing manufacturing. The minister had on several occasions said he had drawn a red line for the fiscal deficit and it would not be breached. According to current indications, the fiscal deficit has come down mainly on account of expenditure compression and higher realisation from the 2G spectrum auction. The finance minister also said GDP growth has improved and will be 4.9 per cent for the current financial year. 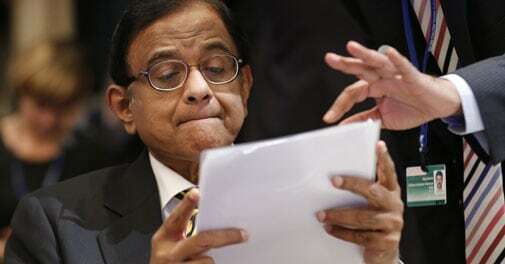 Economic growth had slowed to a decade's low of 4.5 per cent in 2012-13.